BreakThru Radio Asks: How Does SXSW Impact Bands, Fans and Local Venue Owners? The story of SXSW never ends, my friends. And as we continue our exploration of SXSW 2011, I have two videos to share with you from our fellow live music fans over at BreakThru Radio who took the time to ask several great questions about the impact, relevance and evolution of SXSW. After we got back from Austin and I posted my review, I received an email from Carly Shields, a journalist and social media coordinator at the New York-based BreakThru Radio. Carly said she saw our coverage on SXSW and wanted to pass along two videos they created that explore a few different perspectives of the SXSW experience. I enjoyed the videos a lot and I thought you would to, so I’m excited to share them with you. To give you more of the story about BTR, I asked Carly to share her top 5 live music experiences, and I asked Cal Rifkin, the owner/founder/president of BTR, to quickly tell us more about their mission and how they BTR connects bands and fans within the live music experience. The video below was taken by Jess, the host of BRT’s weekly videos series The Pulse. Jess took to the streets of New York to find out why some bands didn’t go and what makes or breaks the epic SXSW experiences for bands who do go. Why Didn’t These Bands Go? Then in this second video below, two of BTR DJs flew down to Austin to find out how locals felt about the madness and influx of people. As you think about the videos, here a quick’s Q&A with Cal Rifkin followed by Carly’s most memorable live music experiences. LF:How is BTR connecting bands and fans within the live music experience? What role does BTR and your DJs play in guiding fans to experience the bands you feature live in concert? CR: BTR DJs select the artists that they want to play either via solicitating their music or by selecting their music from the weekly update. BTR Live Studio Director selects those artists to be featured in Live Studio. How have your live music experiences inspired the mission and vision for BTR? Live performance are the best way to experience any artist! In the SXSW videos it seemed like it was a split decision. What are your thoughts on SXSW and its influence on new music discovery, local venues and bands, and the necessity for new bands to go there or stay home? SXSW has become very much over commericalized. Some aspects of the old SXSW still exist in the smaller venues on the East side of Austin playing in unofficial showcases. What don’t you like about how commercial radio currently approaches band discovery and telling fans about upcoming concerts? If you could improve this process, what would you do? It is not music discovery but what Live Nation or Ticketmaster are pushing. When I asked her to share you Top 5, Carly told me many of her experiences are all related to the jam band Phish, but “for purposes of diversity” she decided to expand her scope. Number 5: is Starscape Festival in Baltimore, MD, I love this festival because it’s like an insta-fest, just one night, and they have featured many of the same bands since it’s inception. They always feature new bands, but it’s nice to have consistency and see some of my favorite artists who i would only see there. Number 4: is a Jonsi show I attended in October at the Hammerstein Ballroom- his combination of live sound and moving art brings the whole performance to life and adds a depth you can’t find in other places. Number 3:would be the Rothbury Festival 2009 in Rothbury, MI. This was a music and arts festival with an amazing line up and art installation all throughout the “Sherwood Forest” it was a truly incredible and life changing experience. Number 2: is Phish New Years 2010-2011 at MSG in NYC where they did stunts and released thousands of balloons on the crowd at midnight. Number 1: is Phish Halloween 2010 in Atlantic City, NJ. To have all the phans in one place (the boardwalk, instead of spread throughout NYC) during a 3 night run is something very very special to the community, not to mention the band covered one of my favorite albums, Little Feat’s Waiting For Columbus. Are We Addicted to SXSW? That’s a question I’ll never get tired of asking. And like we’ve said before, SXSW is a massively complex experience full of constant stimulation coming at you from all angels, and with that comes many perspectives to examine and explore. And since the live music experience has such a powerful impact on your minds, bodies and emotions long after the show is over, we’ll continue to share stories of how we’ve all been impacted and forever changed, and we’ll continue ask what role SXSW plays in the history of live music. If you were at SXSW 2011 or you’ve been to it in previous years, drop a comment and let us know what you thought of the videos, and tell us about your SXSW experience. And be sure to stay tuned for a future Live Fix podcast featuring a special interview with a band and brand who were part of SXSW Battle of the Bands contest. Thanks again to Carly, Cal and the team at BreakThru Radio for sharing the SXSW videos and their favorite concert experiences. 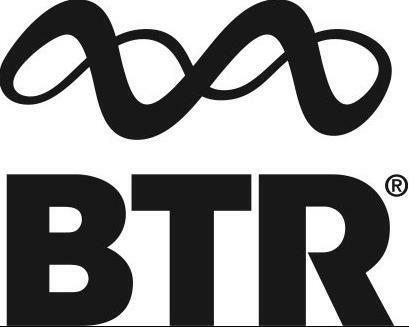 BTR’s got a great mix of new music and other exciting and emerging journalistic explorations. Go check out it all out at www.breakthruradio.com. Live Fix Radio: Have You Joined The Concert Fan Complaints Choir?